Patten Pending: The Official Blog of Author E.J. 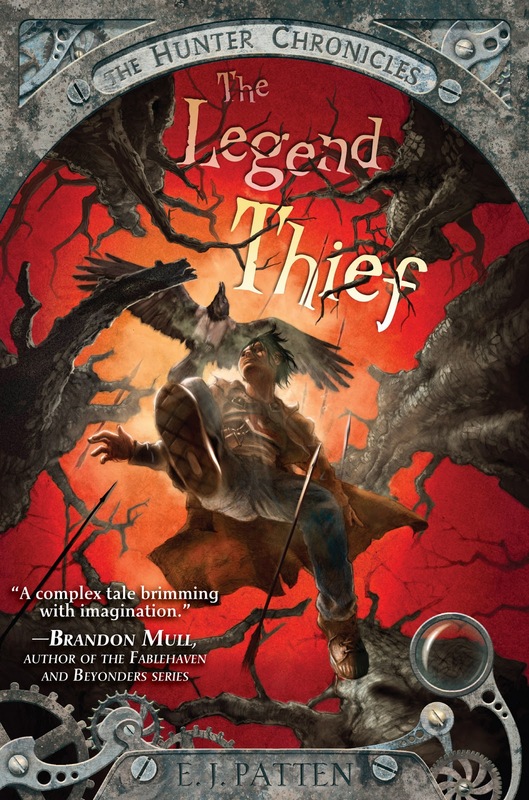 Patten: The Legend Thief Cover! In the meantime, here's the cover! John Rocco did an amazing job! If you ask me, he really should've won the Caldecott for Blackout. E.J. - my son is very excited about this coming out before christmas. Actually, so am I. The cover is awesome. Heard you speak on a panel at LTUE. Liked what you had to say and your books sound like ones my son would like. dang. your cover art is amazing. nice to have a design that matches the content. Hi. This is Luke Marshall. I am David Butler's nephew. I really loved reading Return to Exile. Uncle Dave sent it to me. And if you don't believe me, just ask Dave. My favorite part of your book is when Sky, Crystal, Andrew, Phineas, T-bone and Hands are in the field with the Dovetail and Jack. It was really descriptive and I liked it. Can't wait til your next book comes out. Wish it weren't in December. But then again, my birthday is in December so I might get it for my birthday. And that would be cool!